Today’s Mooglegem’s last day with an active account. In fact, by this time the subscription has already lapsed. She just doesn’t have the time to play. 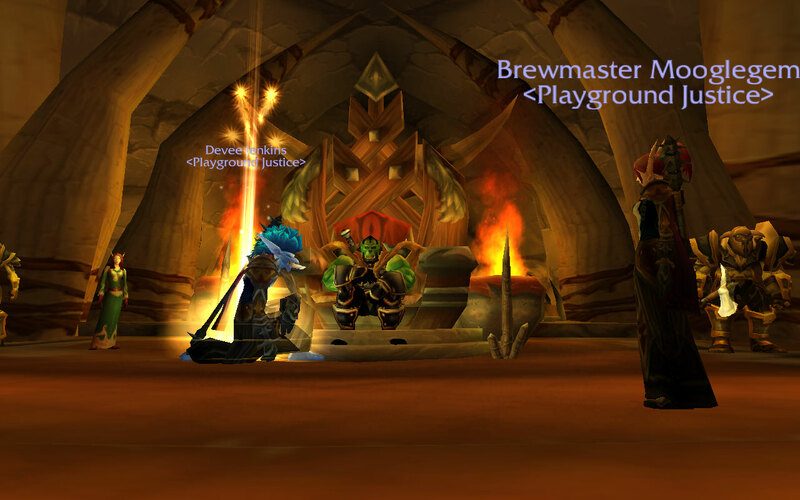 She raided during Highmaul, but never even had a chance to finish questing let alone enter Blackrock Foundry. Last night she wanted to make the final push toward the Nagrand finale. There were a few quest lines she hadn’t completed in Nagrand, but most importantly, Thrall was offering her “And Justice for Thrall.” She was so close this whole time. I was happy I got to witness her witnessing such an amazing moment. 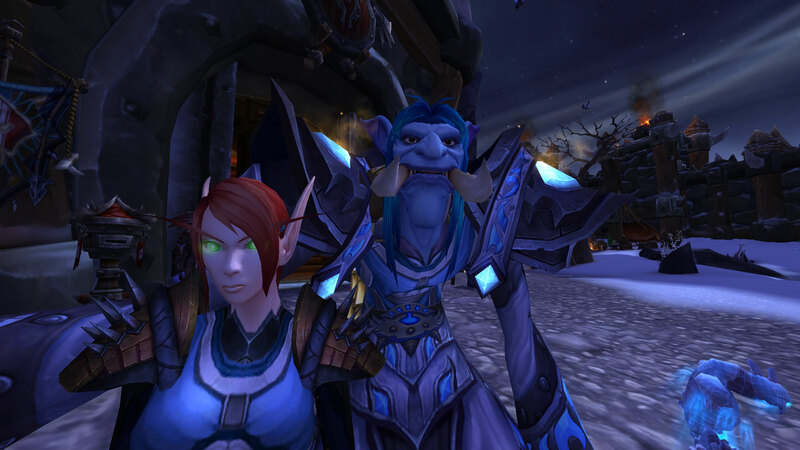 I made her do this emote, heh. She also went through her bags a little. There were a lot of old memories. One included a letter from my bank alt. Thank you for the stuff. How are you? I heard you were far away, south of here. How is it there? I’ve never left Mulgore. 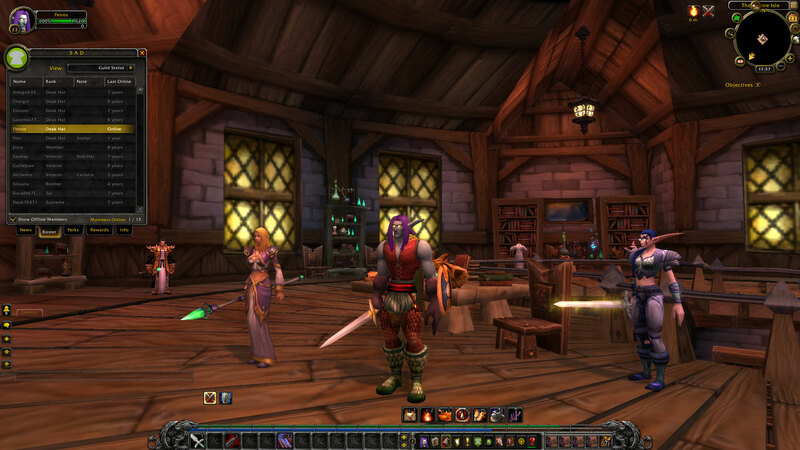 I live at Thunder Bluff. I guess I liked RPing in letters. Or how about this one I sent to her hunter? 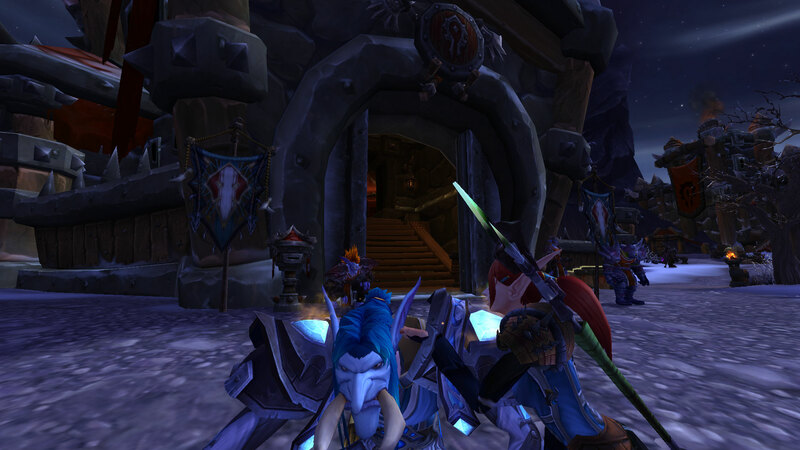 The fight against the Lich King is slow but progresses well! I look forward to the day when we put him down for good! 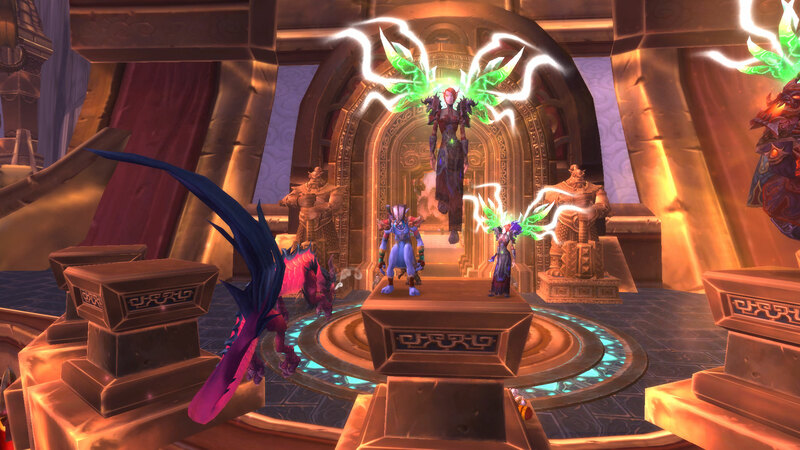 Congratulations on reaching Outland! 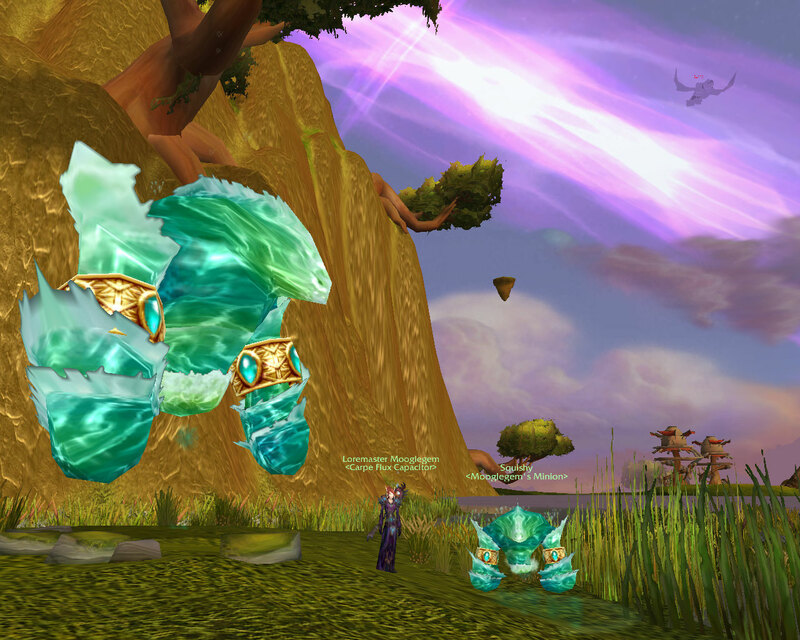 I hope you’re enjoying Nagrand; it really is quite beautiful. I’m surprised [Nesingwary] remembered me! Someday you’ll surpass him as a hunter, I’m sure. Chompsky and Sumo are both very cute. Give them my love! Mooglegem says hello too. 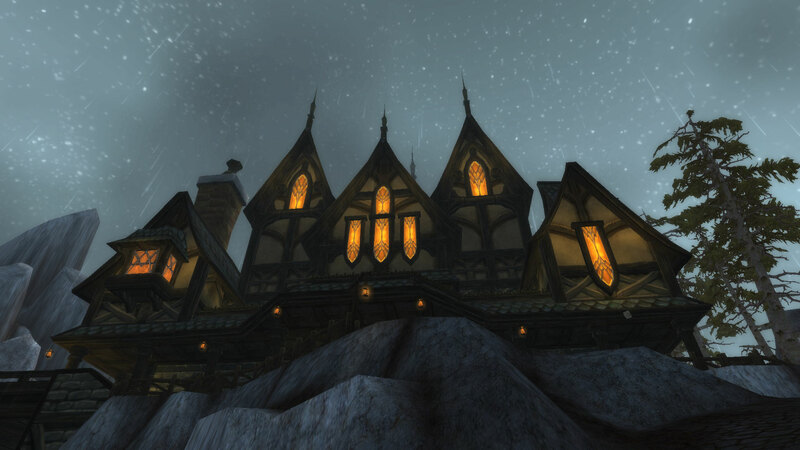 Hope to see you in Northrend soon! It’s been a while since we’ve really played together, but it’s weird to have her account inactive. On the plus side, she got to see the Nagrand finale. Afterward, I summarized the events of Highmaul, Blackrock Foundry, and the legendary quest, and then I showed her the finale of the Garrison Campaign and the 6.1 legendary cutscene. At least she’s caught up on the lore! 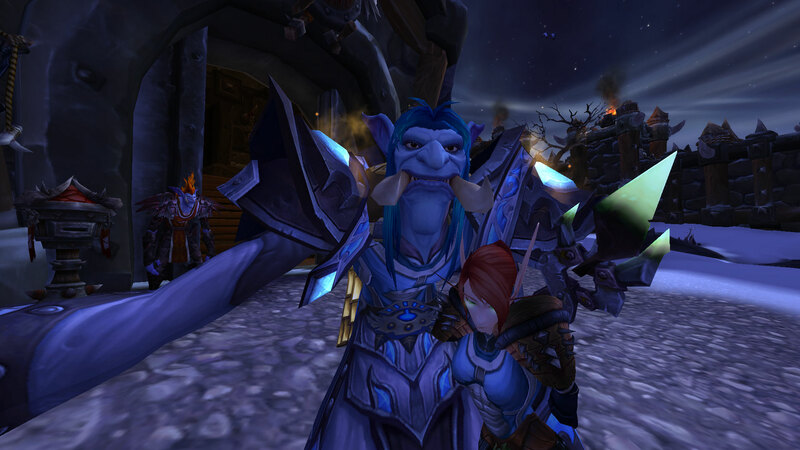 Hurry and come back, Mooglegem, so I can take you on a tour through Ashran and we can slay Alliance like old times. 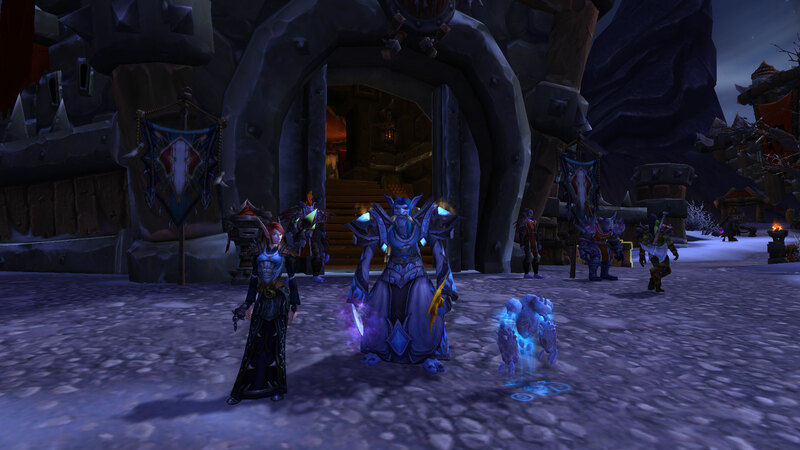 Last night I finally finished collecting Fragments of Val’anyr and completed Val’anyr, Hammer of Ancient Kings. It looks pretty cool, and I like the effect it puts on people. 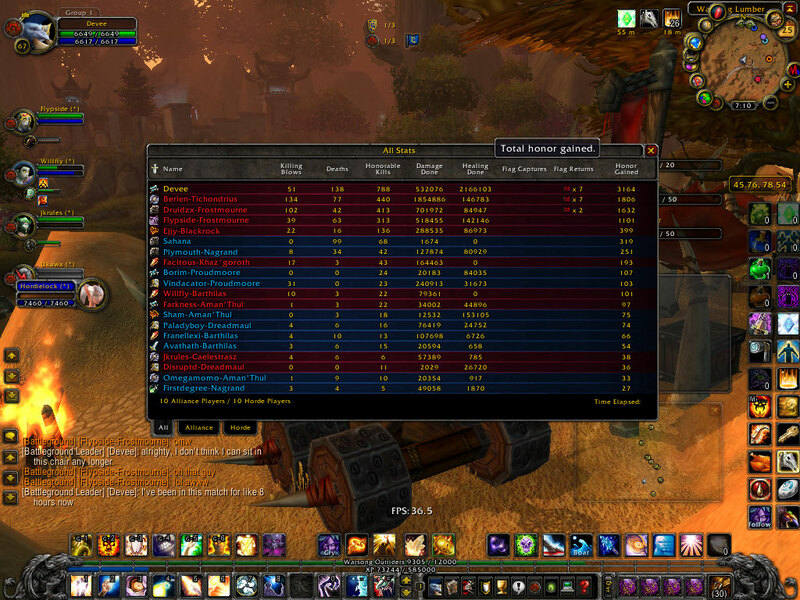 It’s obviously not as cool now, but back in Wrath, it was really cool to see a healer with one. 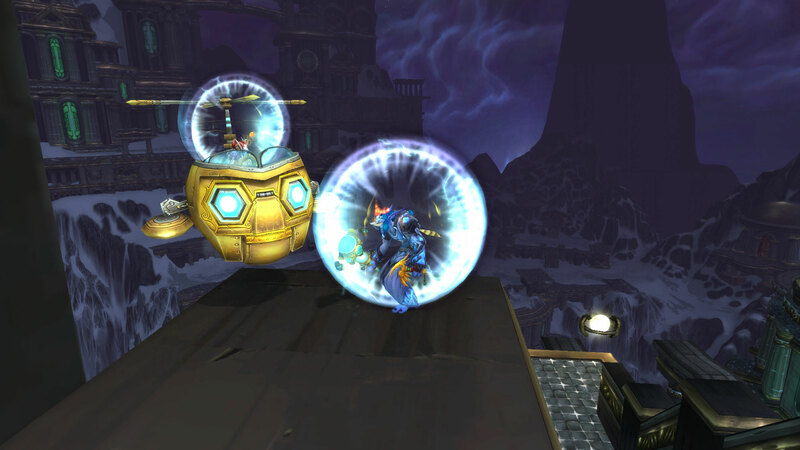 Even in a battleground, when I saw enemies with that electric-looking shield, I instantly knew one of them was wielding Val’anyr. Mooglegem was nice enough to do runs with me. I don’t know how easy it is now, but at level 90, I could solo the raid with exception of Yogg-saron +0. With her, the whole raid is much more enjoyable. Luckily for Mooglegem, she got something out of it as well. A couple weeks ago, Yogg-saron dropped Mimiron’s Head. 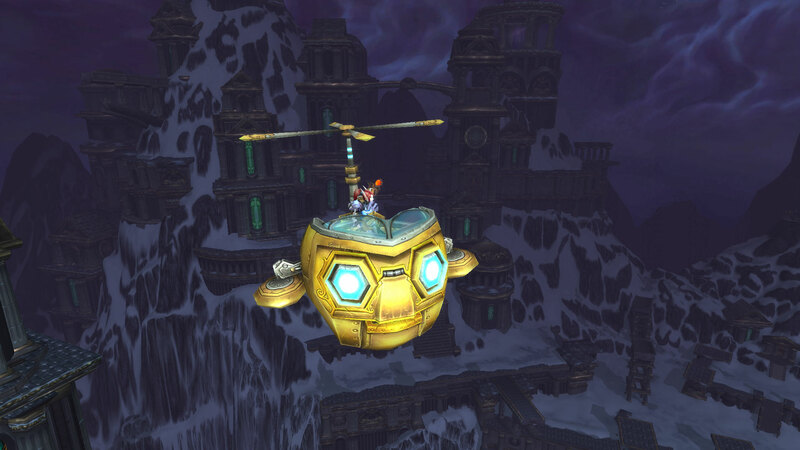 I think it’s one of the coolest mounts in the game, and she looks great with it! Mooglegem: I like frost magering! Mooglegem: It comes with a Squishy! 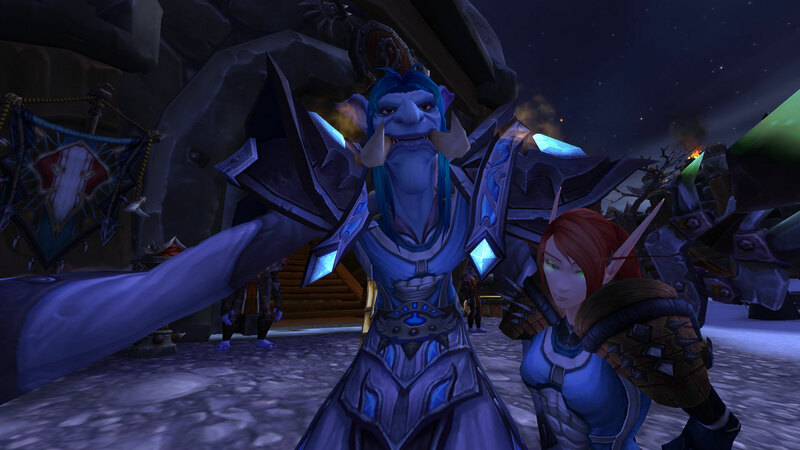 I think I might have the only frost elemental in Azeroth with low self esteem. Devee: Why does he have low self esteem?! Mooglegem: I used to have a glyph that made him big! But then I took it away, and now he’s a little squishy. Devee: Put it back then! Gemma: Nope! I’m trying to show him that bigger is not always better! Gemma: … He also has “performance” issues.